As my interest in asemic writing, a wordless form of open semantic abstract calligraphy grew through the years. This piece of work came naturally to me as I combine my air blown painting technique with the delicate and expressive calligraphy qualities often used with inks to good use. 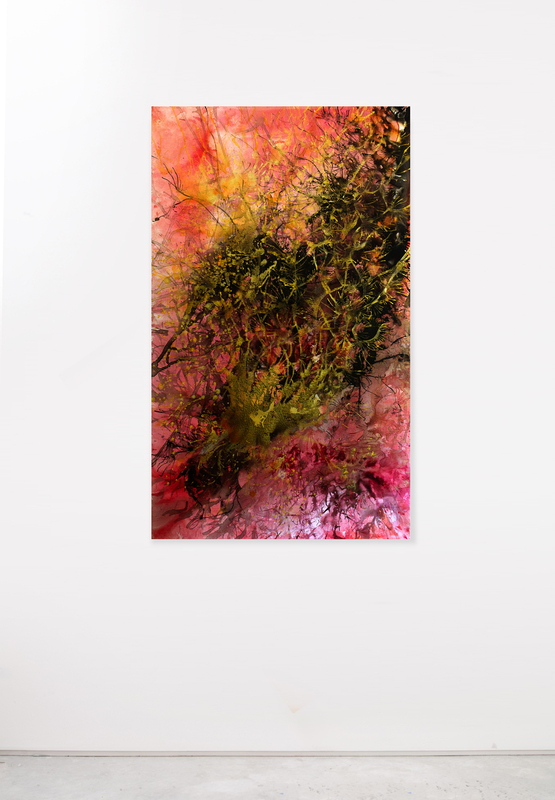 In this case, strongly thinned acrylic colours were poured and blown on to the canvas to form the dramatic presence and free fall nature of rain here. With the water allowed to flow and occasionally changing directions directed by air and gravity. I see it more as a dramatic dance that expresses itself beyond the boundaries of the canvas.